Now That’s A Revolutionary Figure! In this Web Quest students will choose an important historical figure from the American Revolution to research, create a biopoem or acrostic to present to the class, and write a report of information. The American Revolution changed our history forever. Although George Washington was extremely important to the American Revolution, he was not the only memorable historical figure during the Revolution. There were many men, and women who were important for their own reasons. 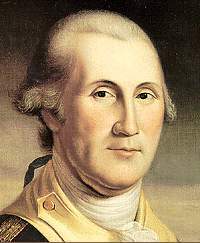 Some were traitors while others were Washington’s best men (or woman). You and a partner are going to teach your classmates about one of these other important figures!